« Hungry birds on the Chesapeake. 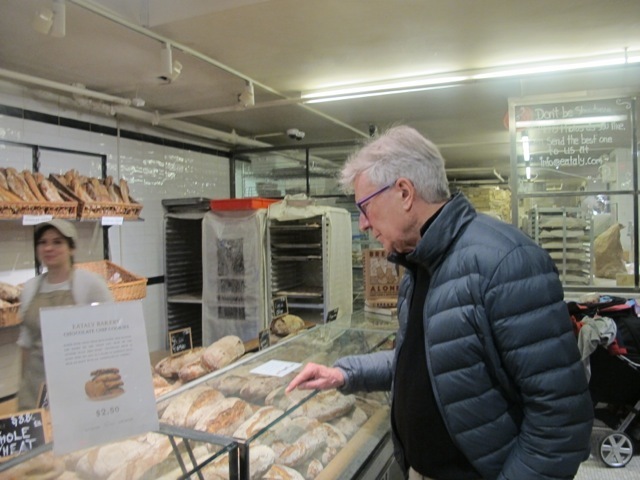 It’s Monday and we’re in Manhattan, nearly half way through our American Book tour adventure. Meredith ate something last night that didn’t agree with her and is resting in bed. 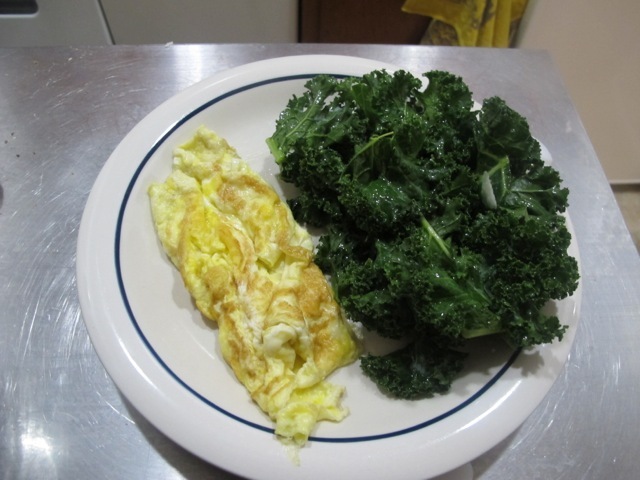 I made an omelette and ate it alone here in the perfectly equipped apartment loaned us by our generous hosts, Melanie and Bruce, who live in Chelsea. 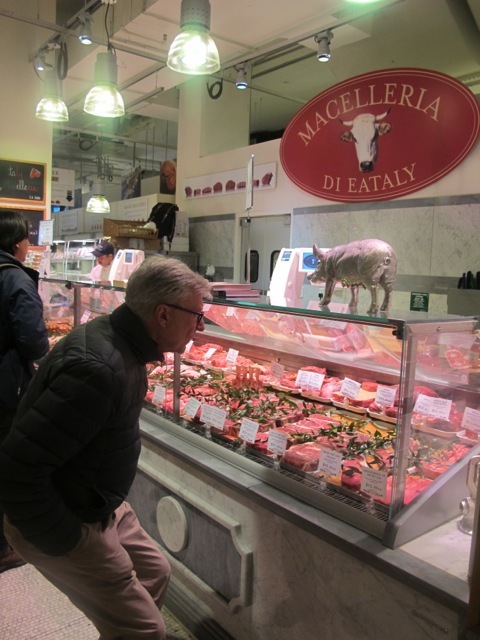 Yesterday we had lunch with two other old friends at Eataly–(should be pronounced eeeataly!) a newish arrival opposite the spickly span Flatiron building on the corner of 23rd Street and 5th Avenue. 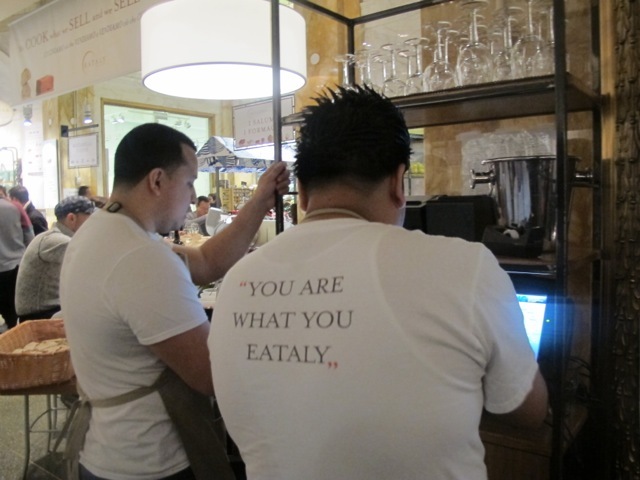 Eataly, an emporium of eateries, draws its inspiration from Italy’s slow food movement. it slowly (appropriately) comes into focus. 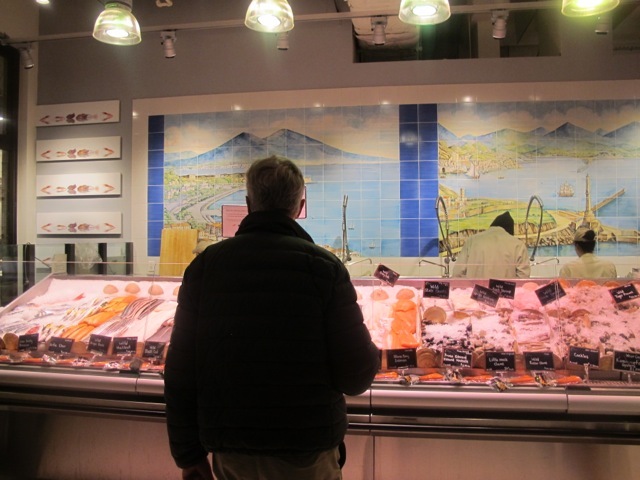 We choose Il Pesce, the fish restaurant, out of the six available. Perfectly cooked Trout for Meredith, Octopus for me; Flounder for Betsy and Porgi for Bruce. We leave two hours later (slow lunch!) happy and clutching a bunch of red Russian kale (see photo above) and a bag of groceries. Robin is having fun over here on the other side of the pond. Welcome! I hope the trip is very little work and mostly play. Please consider getting a new jacket. That one may be cozy but it makes a handsome fella look like a grenade…or the Michelin Man. on March 10, 2014 at 11:37 pm | Reply Dianne P.
Oh, no! You’re in Manhattan already? I thought your itinerary said you’d be there March 23. Did we miss something? We’ve been planning on that day for a few weeks! Hope we didn’t miss you! And Meredith, if you were hit with something that seems like food poisoning but WHAMO–no warning–it’s a 2 day bug. And it’s been going around us for awhile. You’ll be OK in a few days, but really wiped-out tired & just no appetite. I lost 5 pounds from it! Plain crackers are in order, maybe some Ginger Ale. Hang in there!! And hoping you’re still in NY for awhile…??? We are back here as planned, Dianne. We don’t have a location yet though. Thanks for the tips. I like the jacket. Keep it. Looks a dream in there! Just received an e-mail from Amazon and they will not be able to deliver your new cookbook. They said to go to another source for it. We are sad! We will try other stores. We understood it would be available on Amazon.com.We are investigating. It’s available on Amazon.co.uk and from http://www.thebookdepository.com where world wide delivery is free. I will try the book depository and maybe Barnes and Noble. Thank you. I know just where you were! Used to pass the Flatiron building on my way home from work. But things have changed a lot since I left in ’95! Loved the pictures. Send more, please. Hoping Meredith is better soon. 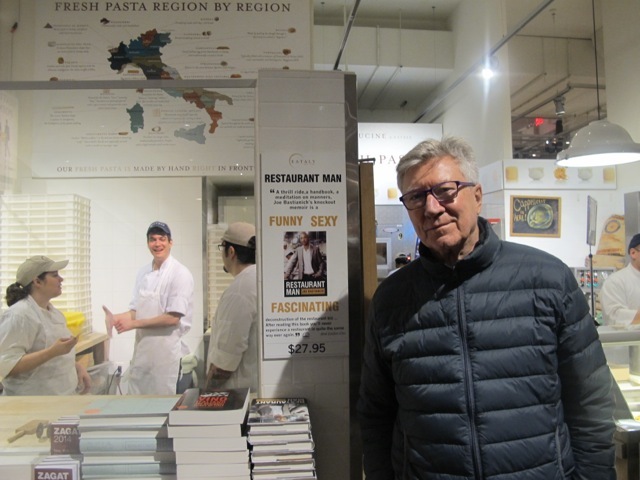 Eager to get your new book – and tell others about it. Hope Meredith feels better soon, enjoy your stay, mmm all that lovely food. I hope Meredith is feeling better. Fooorza Meredith! In October 2012 my first and only time in N.Y. 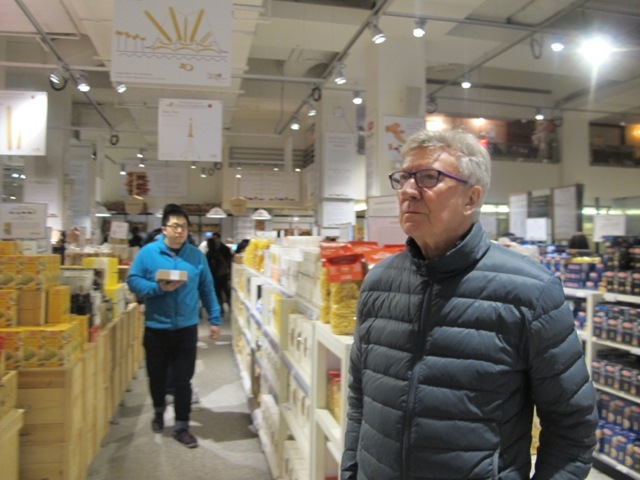 I went to Eataly in Manhattan to have a look and walk around. We have one as well in Rome, but I have not visited it yet. I wish you both a nice prosecution of your journey! Im so sorry to hear that the mrs is sick! I hope that she is feeling a lot better now! Dianne P always has such good and caring advise! And hey…..I like ur jacket! Ur “stylin” as they say and the color goes great with your coloring! Well here’s to looking forward to the NYC booking signing date! Take care.